A year ago I was closing in on a year of blogging every day. Every morning I sat down with my laptop to write and share photographs. I had organized my week into themed days to give me a constructive outline of what to share with the world when. I knew not everyone who came to my blog would read every day. However with wanting to share the many facets of myself knew that what may not appeal to one reader on one day, may appeal to them on the next. I spent quite a bit of time connecting with readers, who became friends, through various social media outlets. I even got away from my computer and to blogging events and blates (blogger dates). Then in the late Spring of this year my presence online became quiet. Which is not a new thing for my blog to experience. A few times since the creation of it in 2005, have I had to step back for a while. I honestly believe it can be the best thing for bloggers. If you have ever had a blogging break than perhaps you understand. I had not meant to be quiet for so long and time just kept getting away from me. 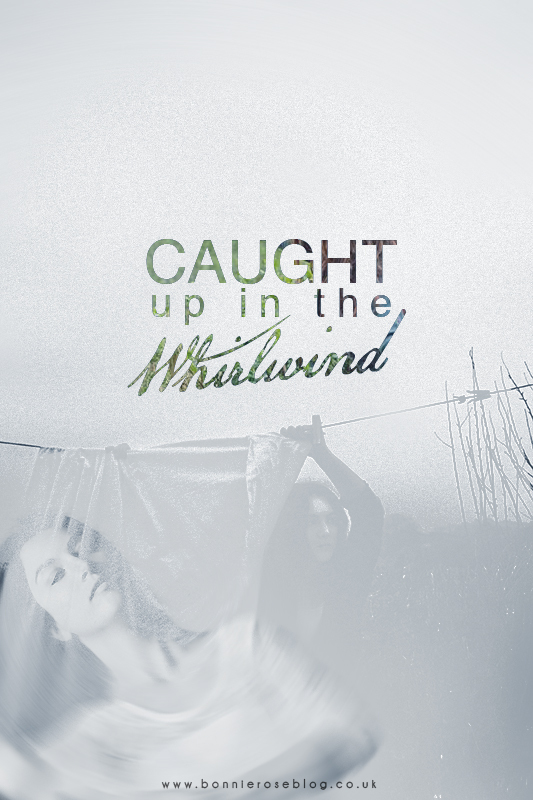 Caught up in the Whirlwind. This is a term we use at work from the book The Four Disciplines of Execution. It is a great visual about how we can easily lose sight on goals when trying to keep up with everything at once. I have recently found myself much like Dorothy from Wizard of Oz, swept up by everything going on. In the end it has left me feeling quite lost. With unneeded stress in just one area of my life it has had a rippling effect on to all the others. Reflecting on it all I felt as if it left me starving creatively. I had not picked up my DSLR camera in months. I had not written any stories, poems, and hardly any blog posts aside from the weekly #TravelTuesday linkup. I have not devoted much time to art at home and work has been so busy with day-to-day clients. I feel like I have been grasping at anything to stay grounded. In the last few months I Luckily had the opportunity of being in another theatre production, which gave me a lifeline to my creative spirit. Yet my life and my schedule stayed ever busy and the whirlwind has just kept spinning. Fast forward to about a month ago when I suffered a shoulder injury. Not sure how it happened but it impacted the whole length of my arm and has resulted in missing some time off of work. I would love to say that I have spent every moment of it writing for National Novel writing Month, doing yoga and mediation, taking photographs, and spending time with my family. However the lack of being able to use my arm fully, the pain, the fact that my family is at work/school it has been less on the side of a vacation from the whirlwind and more so like experiencing cabin fever. I greatly look up to anyone who has to work through pain on a daily basis because it can be so deabilitating and frustrating to say the least. I look forward to having a relaxing vacation in a sunny climate sometime in the future. But for now I cannot wait to get back to work. To get back into a better and healthier rhythm of life once again. To have calmed down and tamed the whirlwind. Off the cusp of this moment I have found the time to write out this post and share that I do miss writing here in this space. The outlet and being able to connect with all of you has been something I have missed. I more likely will not be blogging every day again at this moment. I do aim to share more as I regain balance in my life once again. 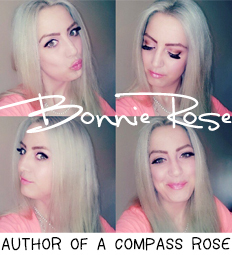 Thank you for all the messages and for coming back to A Compass Rose again. I am trying to touch base more often on Twitter/Facebook and you can always find me on Instagram and Pinterest as well. I am sorry your shoulder has caused you so much pain. It must be so difficult to live with pain on a daily basis. I agree, sometimes a blog break is just what we need to re-focus! It is true, time gets away from you when you get caught in the whirlwind. A blogging break is nice at times to refresh yourself and gain a new creative outlook. I injured my shoulder when I was in high school as I was the pitcher for my school team, it is no fun to have pain in your arm, hoping for a speedy recovery! It was so good to see something new from you! I’ve missed your writing, and especially your photos. I’m so sorry you’ve been feeling stressed and suffering from a hurt shoulder. I hope that the pain of both will ease up very soon. Miss you! I hope you recover well and can’t wait to read more and see more photographs from you! I’ve been linking up with you for quite some time but had no seen much in the way of current posts so I wasn’t sure what to make of it but I’m glad your back, looking forward to getting to know you! Sorry about your injury though, that’s for sure!